Today..NW winds 10 to 20 kt. Waves nw 7 ft at 8 seconds. Patchy fog. Tonight..NW winds 10 to 20 kt. Waves nw 7 ft at 8 seconds. Patchy fog. 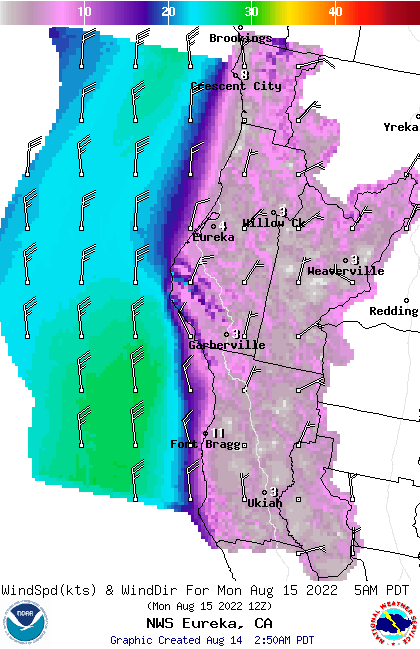 Fri..NW winds 15 to 25 kt. Waves nw 7 ft at 7 seconds. Fri night..N winds 15 to 25 kt. Waves nw 7 ft at 9 seconds. Sat..N winds 15 to 25 kt. Waves nw 8 ft at 10 seconds. Sun..NW winds 10 to 20 kt. Waves nw 8 ft at 11 seconds. 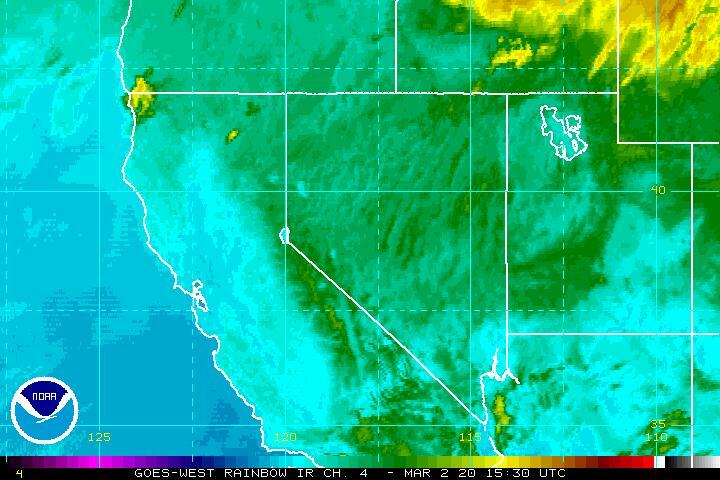 Mon..NW winds 10 to 20 kt. Waves nw 7 ft at 10 seconds...and nw 2 ft at 17 seconds. 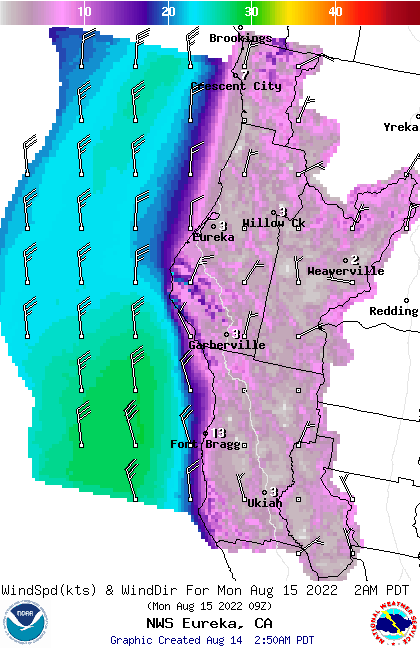 Synopsis for northern california waters..Moderate north winds will increase to near gale or gale force for Friday afternoon through Saturday generating steep short-period seas. In addition, a modest mid- period northwest swell will slowly diminish through Friday morning. limited on the del norte coast. mph are expected late in the afternoon. stratus will increase each day. Small craft advisory until 3 pm pdt Friday for pzz470. Small craft advisory until 9 pm pdt Friday for pzz475.